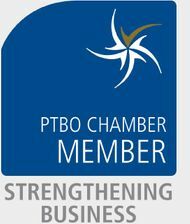 The Peterborough Lions Community Centre is a multi-functional conference and banquet facility managed by the Peterborough Lions Club. Over the years we have played host to countless weddings, receptions, banquets, conferences and parties. We'd love to host yours too. The community centre is centrally located in Peterborough at 347 Burnham St. We are the blue building at the intersection of Robinson St. and Burnham St. If you are driving, we have lot of free parking available on site and overflow parking if needed. To inquire about renting one of our rooms please call us or fill out the form provided. We'll get back to you at the earliest possible convenience.